For last few posts i have been posting some resources on vegetarianism. I'm doing some research on my own and at the same time trying vegetarian food at some meals. I'm not fully vegetarian. But i wish to be a semi-vegetarian. I think we consume un-necessarily too much chicken, meat and other flesh. Our body doesn't need so much protein and its only causing ecological imbalance to our planet. Consumption of such high protein is also putting pressure to our body mechanism and cause it to age quickly. As part of my research on vegetarianism, i'm posting my last post on this issue. Here are some good site links to explore. They poses some good view point from Islamic, Christian and Jewish perspective on the issue. :: Was Jesus (peace be upon him) a vegetarian? 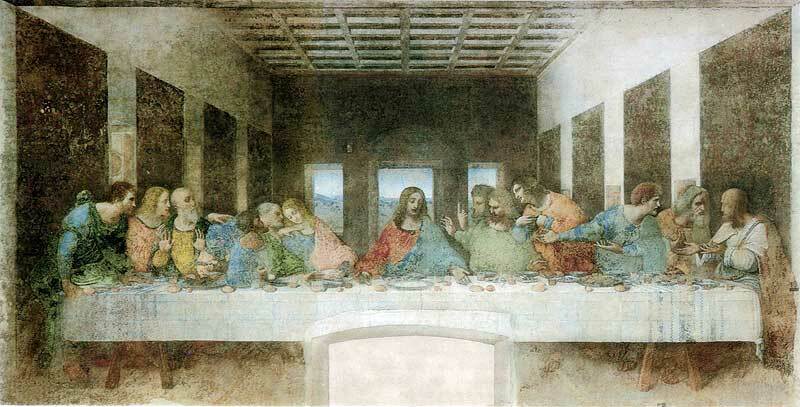 :: Was the Last Supper Vegetarian?